Welcome to the Law Offices of Garcia Mendoza and Snavely. We are a full service general civil litigation firm with an emphasis in immigration law. With over 90 years of combined legal experience, we are capable of handling even the most difficult cases. We are committed to exceeding our clients’ expectations and seeking the best possible outcome to your unique case. our present and former clients generate for us. Let us guide your through any legal issues you are facing. Garcia Mendoza & Snavely, a full service law firm, was established over 25 years ago. Our firm engages in a general civil litigation practice with a sub-specialty in immigration law. Garcia Mendoza & Snavely cares about our clients. Our mission is to respond fully to our clients’ needs. Our promise to our clients is that we will work diligently and efficiently to address their needs and that we will be available to them to respond to any concerns they may have during the course of our representation. 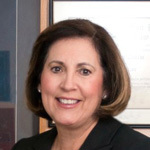 Judge Mendoza was born and raised in Las Vegas. 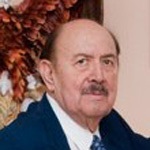 He received his Juris Doctor from the University of Notre Dame in 1952. Upon returning to Las Vegas from law school, he was elected and/or selected to serve as District Attorney of Clark County, City Attorney of the City of North Las Vegas, and Justice of the Peace of Las Vegas Township. Eva Garcia Mendoza was born and raised in McAllen, Texas but moved to Las Vegas after high school. She graduated from the University of Nevada, Las Vegas, and obtained her Juris Doctor Degree from the University of San Diego in 1981. She has 28 years of experience as a litigator handling over 8,000 civil and immigration cases to date. 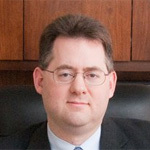 Luther M. Snavely III grew up in Oxford, Mississippi and received both his Bachelor’s Degree and Juris Doctor Degree from the University of Notre Dame. He has 15 years of experience as a litigator. While in law school, Luther excelled in oral and written advocacy. Meet our staff. Friendly, knowledgable and here to assist you with your legal concerns. This form is intended to supply a method to contact Garcia Mendoza & Snavely to obtain additional information about the firm and/or to retain us. Legal questions will not be answered, for general information please check our Resources & Links section.